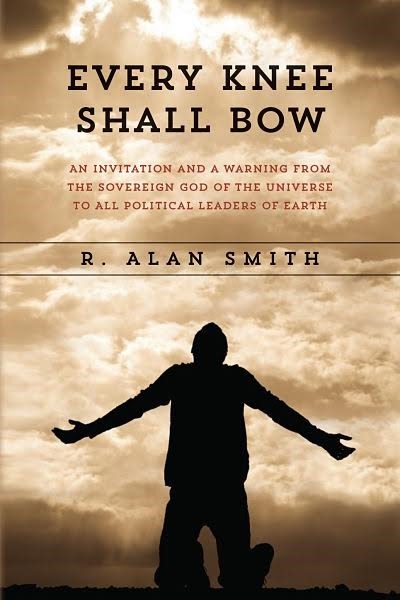 A prophetic message and warning to all political leaders written by a political insider who has been involved in American politics for over 40 years. 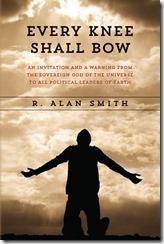 R. Alan Smith is also a Christian who was deeply involved in church leadership during that same time. We live in chaotic times when political leaders around the world are ‘doing it their own way’ and have substantially ignored God in the process. Even those who claim to be believers have pushed agendas which are clearly against the teaching of the Bible. Some have even boldly proclaimed that the Bible is ‘wrong’ and what God has spoken in the past is no longer relevant. The intent of this book is to shake leaders back to the reality that there is a God and he is ultimately in control of history and they are responsible to him for their actions. Not only that but he is the one who actually defines what is right and what is wrong. Much of it is written as a direct message from God to political leaders in this narcissistic generation. It isn’t pretty and it isn’t fun but it is direct. Many might be put off by this genre but so were the leaders in Jeremiah’s day. Even many Christians might question whether the Creator is speaking through prophets today as he did in Old Testament times. Regardless, the message is entirely in character with the God of the Bible and what he has said and taught in the past through his prophets, apostles, and his own Son Jesus Christ. There will also be false prophets, false miracles, and heretical religious leaders. But here is the good part; we wouldn’t have to worry about detecting false prophets if God wasn’t going to send genuine ones. I believe that we are entering a new age of prophets and apostles who will proclaim the unvarnished word of God and the good news of God’s coming Kingdom with signs and true miracles following to all of the nations and peoples of the earth. In the midst of the worst of times when leaders will not know where to turn there will be prophets on the earth once more bringing advise and counsel from God along with signs and wonders to all those who will listen. The book may be purchased through Amazon. It would be a great gift for your favorite political leaders or politicians. Or maybe even for your not so favorite ones.